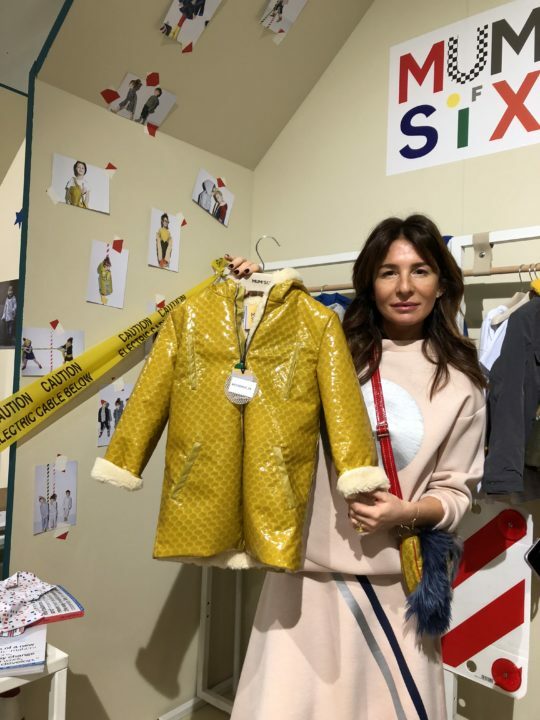 At Pitti Bimbo, we caught up with Stella Aminova, creative force behind new label MUMOFSIX and got the backstory on how she gave birth to her dream job, and wound up creating a hot new children’s line of apparel in the process. 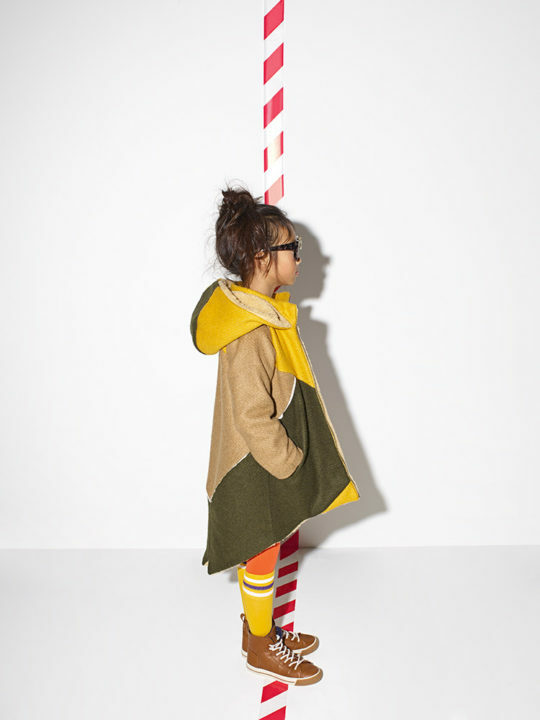 Aminova walked us through the AW18-19 collection, a masterful mash up of bold colour blocking, irresistible plaids, and super cozy textures that will delight parents as much as little ones. 1. Tell us a little about your life BEFORE children. Did you have a different career or were you always involved in fashion? Well, to be honest I don’t remember my life before children but I will imagine something. I’ve been working in different fields since I was 18, the diamond industry, then the corporate world. I have an MBA; more recently I was the first Director of the Jewish Museum and Tolerance Center, it’s one of the biggest in Europe, with 60, 70 cinemas. But that job wasn’t MINE, and over time I started not to enjoy my work. By that time, I already had four children and I was earning money, but I had the option to walk away from a job that wasn’t working for me anymore. Then we went to Israel for vacation, and the idea just came to me that I wanted to open a children’s store. This was in August and by mid-September I had a team, an office, and I knew exactly what I wanted to do, what kind of store I wanted to offer. I knew exactly the name of the shop—Five Kids, because at the time that’s how many kids I had—and I had in my mind the exact location. The neighborhood is pedestrian friendly; people can walk with their kids and we have playgrounds, a lake, small shops, cafes, with every different kind of food and I said I want to open the store THERE! It was actually a miracle that I found a space here and from the time I started working on the concept until the opening, nine months passed, it was like having a baby! 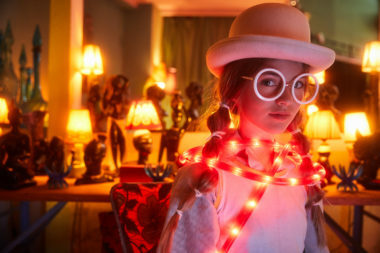 Unfortunately, I had already missed the buying season—I could have bought winter season clothing but I wanted to open in summer—but it was fine, I found cool brands, and we opened the store on June 1, International Kids Day. We are selling 25 or 30 of the best brands and after two years, everyone started saying ‘ you need to make your own line’ but by that time I had already six kids, but I said, ok, I will start working on the design. So from the first meeting, it was another nine months—I think in my life 9 months is something meaningful!—until we had our first sales, within the store, Five Kids, but it was very different from what you see today. My idea was to make the line so kids would have something comfortable but also stylish. For example, you pick up the children from school, take them to activities, to eat pizza, or maybe to see their grandmother. You can’t change their clothes 10 times! And kids can’t be wearing all the time their joggers or sport clothes, because after a while you need them to wear something more dressy and they don’t want it because it’s less comfortable and less soft and this is the problem I wanted to solve with #MUMOFSIX. 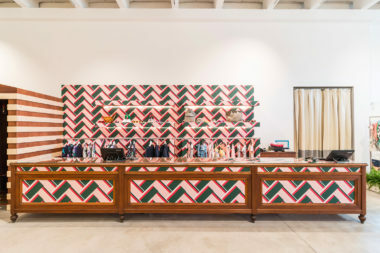 When we launched the line in-store, we sold a lot, and everyone loved it. The first collection we produced in Russia and then we moved production to Martina Franca closed to Bari, Italy. your own children’s boutique in Moscow? As a mother of six children, I really notice when their clothing is not quite perfect— sometimes the sizing is not true, sometimes the fit is wrong, the buttons are too small, or the zipper isn’t high quality. These details are really important when designing a collection. Also, we still make comfortable clothes like leggings and joggers, but you can be sure they still look cool and you can pair them with a dress, or another more formal piece if you like. MUMOFSIX makes it easy to mix and match for any occasion so without sacrificing style or comfort and for our clients, we have opened up a new lifestyle for them in this regard. 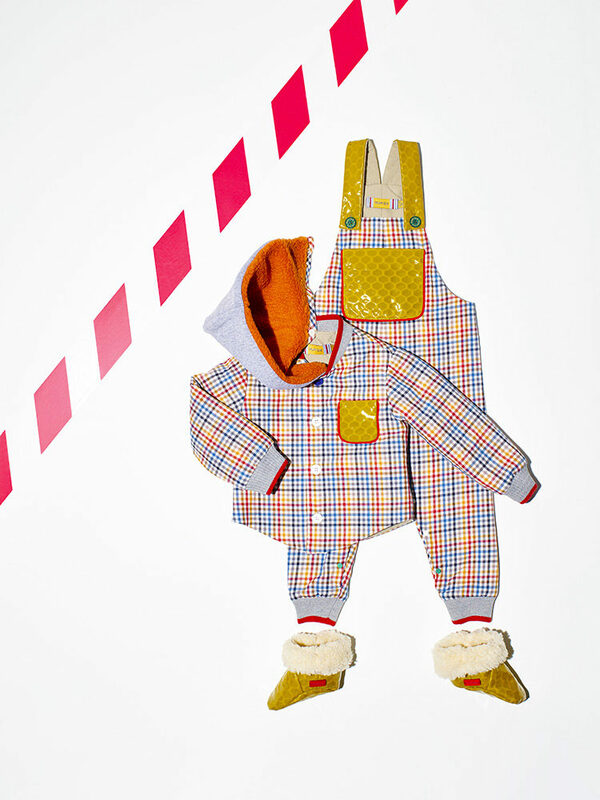 Parents don’t want to spend time creating a capsule wardrobe, they want things to be put together for them already. 3. What are your two favourite pieces in your AW18-19 collection? You know we started doing a lot of basic pieces and when we decided to expand the range to offer outerwear it was a big shift for the team and so I have to say that the coats—they’re all super cool. Also, it’s so difficult to find cargo pants for girls, which I love, that don’t have embroideries and are in normal colours. I like to mix and use them for everything, boys and girls. I also love the pajamas! 4. What kinds of philanthropic activities are closest to your heart? My family and I are members of the Jewish community, so we have many charitable relationships with children’s causes—kindergartens, health centers, and also with universities but for me personally, I am an animal lover, I just love animals. 5. What are your favourite Instagram accounts to follow for inspiration? For inspiration….well, actually I like funny Instagram. I like Stefano Gabbana! Of course he is a genius, a master, and he is also a very close friend, but I love his sense of humour on Instagram. 6. What is your top travel destination for families? I didn’t reach it yet. You know travelling with six kids, it’s a bit difficult! 8. What womenswear designers you use to wear? 9. How do you unwind after a long day? My favourite thing is to come home to change and put on my old, broken in pajamas, to lie on the bed with my dog and a book, magazine, tv, ipad, whatever and to just be ALONE for thirty minutes or so. This is my comfort zone.